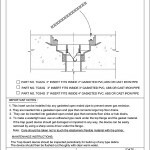 2″ UG Drain – 5″ Adj. Round Strainer – Mech. Hub Joint for C.I.